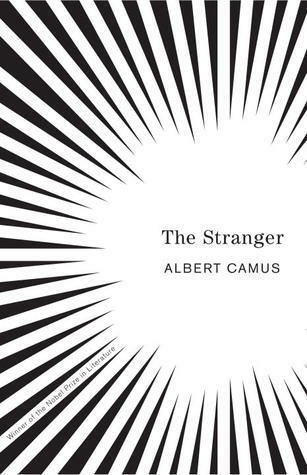 Albert Camus (1913-1960) was a representative of non-metropolitan French literature. His origin in Algeria and his experiences there in the thirties were dominating influences in his thought and work. Of semi-proletarian parents, early attached to intellectual circles of strongly revolutionary tendencies, with a deep interest in philosophy (only chance prevented him from pursuing a university career in that field), he came to France at the age of twenty-five. The man and the times met: Camus joined the resistance movement during the occupation and after the liberation was a columnist for the newspaper Combat. But his journalistic activities had been chiefly a response to the demands of the time; in 1947 Camus retired from political journalism and, besides writing his fiction and essays, was very active in the theatre as producer and playwright (e.g., Caligula, 1944). He also adapted plays by Calderon, Lope de Vega, Dino Buzzati, and Faulkner's Requiem for a Nun. His love for the theatre may be traced back to his membership in L'Equipe, an Algerian theatre group, whose "collective creation" Rvolte dans les Asturies (1934) was banned for political reasons. The essay Le Mythe de Sisyphe (The Myth of Sisyphus), 1942, expounds Camus's notion of the absurd and of its acceptance with "the total absence of hope, which has nothing to do with despair, a continual refusal, which must not be confused with renouncement - and a conscious dissatisfaction". Meursault, central character of L'tranger (The Stranger), 1942, illustrates much of this essay: man as the nauseated victim of the absurd orthodoxy of habit, later - when the young killer faces execution - tempted by despair, hope, and salvation. Dr. Rieux of La Peste (The Plague), 1947, who tirelessly attends the plague-stricken citizens of Oran, enacts the revolt against a world of the absurd and of injustice, and confirms Camus's words: "We refuse to despair of mankind. Without having the unreasonable ambition to save men, we still want to serve them". Other well-known works of Camus are La Chute (The Fall), 1956, and L'Exil et le royaume (Exile and the Kingdom), 1957. His austere search for moral order found its aesthetic correlative in the classicism of his art. He was a stylist of great purity and intense concentration and rationality.